Superb traditional hunting knife from Finland. This is the forged carbon steel hunter, scandi grind with a very nice curly birch handle. Really practical and comfortable knife to use, upswept blade designed specifically for field dressing but can be used for all practical bushcraft uses. Made by a traditional Scandinavian maker in the old way. 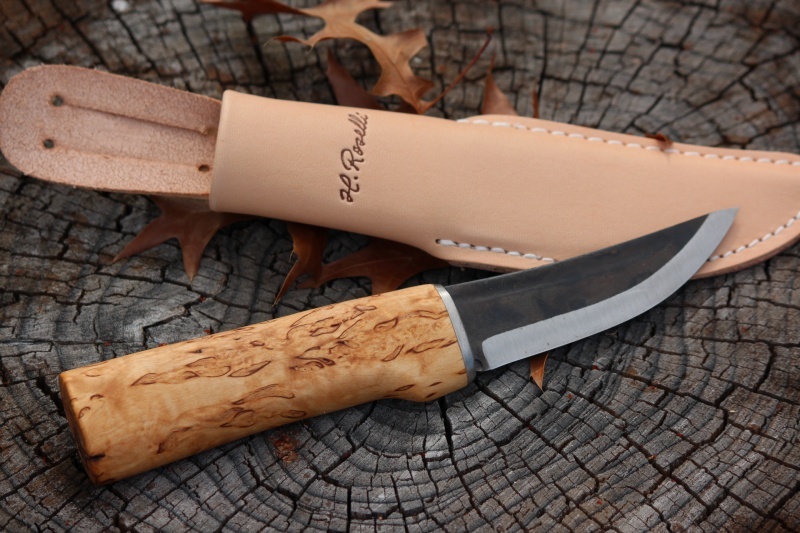 Purchase through PayPal by using the "Add To Cart" button above or use the form below to order the Roselli Hunting knife . 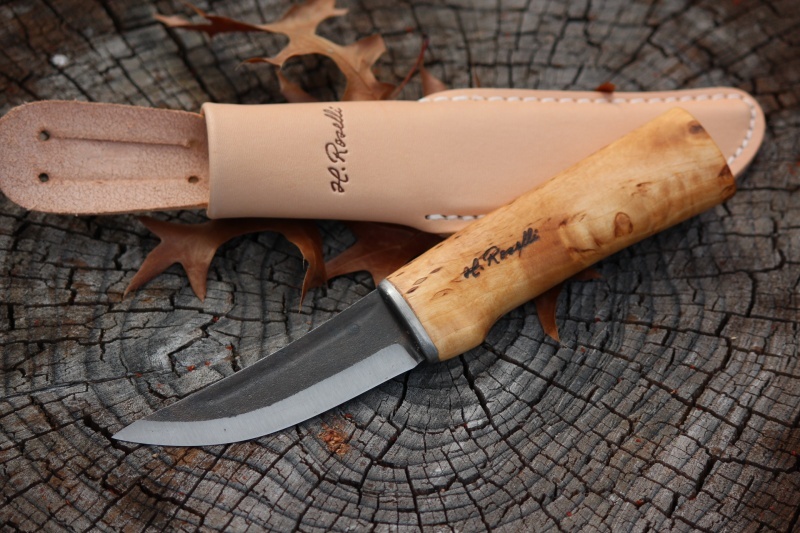 Feel free to contact us if you have any questions about the Roselli Hunting knife .